The Luminex 200 system combines existing technology to provide a complete solution for rapid and accurate biomarker quantification. Luminex microspheres are colour-coded into distinct “regions”. 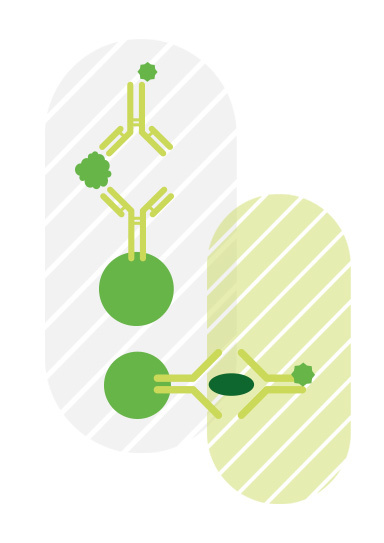 Each region can be coated with a different reagent specific to that assay, like an antibody or protein, allowing the capture and detection of specific analytes from a sample. The Luminex 200 reader then detects the individual beads, determining the “region” (coded by the bead’s internal fluorescence) and measuring the assay output (phycoerythrin fluorescence intensity). The Luminex 200 technology allows rapid and precise measurement of up to 100 unique assays within a single sample. Low sample volume: With minimal hands-on time, you can screen up to 100 analytes in a single sample using as little as 25 μl.